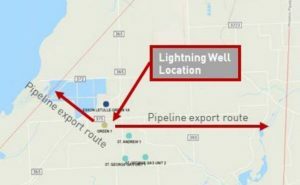 Oil and gas exploration and production company, Otto Energy Limited has announced that the exploration well, Green #1, testing the Lightning prospect in Matagorda County Texas, has reached a final total depth of 4638 metres (15216 ft). On 4 December 2018, Otto announced pre-drill prospective resource estimates for the Lightning prospect, which assumed a P50 net hydrocarbon bearing reservoir thickness of 9 metres with a P10 net hydrocarbon bearing reservoir thickness of 22 metres. Today the company confirmed that petrophysical evaluation of the logging data indicates the presence of a total net hydrocarbon filled sand interval of 54 metres. This petrophysical evaluation was conducted using historical parameters for production performance in the play trend. Dependent upon porosity and water saturation cutoffs applied, Otto has stated that there is potential for an additional 45 metres of net pay in the well. Further evidence supporting the presence of movable hydrocarbons have occurred during drilling where strong gas was found, including C5+ recovered at the surface. Additionally, Otto states that indications during drilling identified several sand intervals have the potential for liquids yields significantly higher than the pre-drill estimates. Otto’s Managing Director, Matthew Allen, said the result of the Lightning well is an outstanding outcome for Otto shareholders. Image courtesy of Otto Energy Limited. Mr Allen further said that with the ability to tie the well in and commence production in a very short time frame, this discovery will be a major step in Otto’s plans to expand their production base and deliver on their objective of 5,000 boepd production. “This initial exploration well has de-risked a large amplitude supported structure and plans for further development of the field will commence once production from the first well has stabilised. 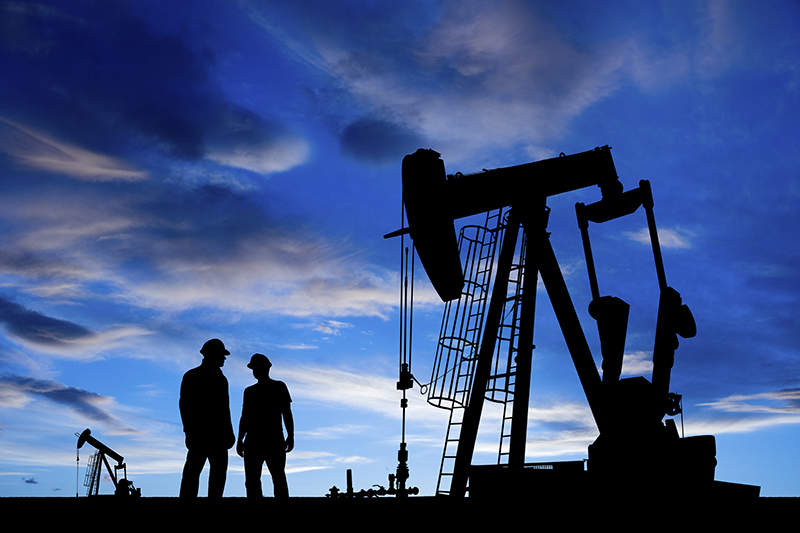 This will include the potential for future additional wells to deliver the full field potential of this significant new discovery,” he commented. Otto has an active drilling program scheduled for 2019 with their Winx-1 well in Alaska scheduled to commence drilling during mid-February.